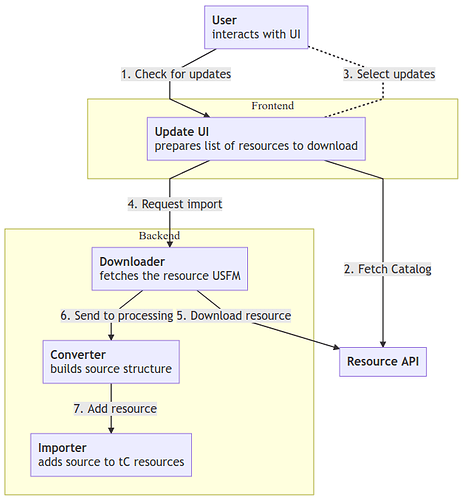 The dynamic source content updater allows users to retrieve new or updated source content for use in tC. The bellow diagrams illustrate the chosen architecture. Here’s the proposed architecture for downloading source content. 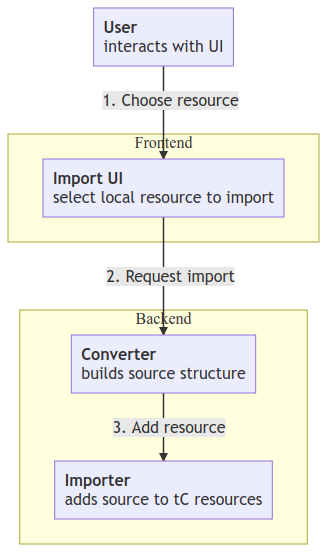 Here’s the proposed architecture for side loading source content.